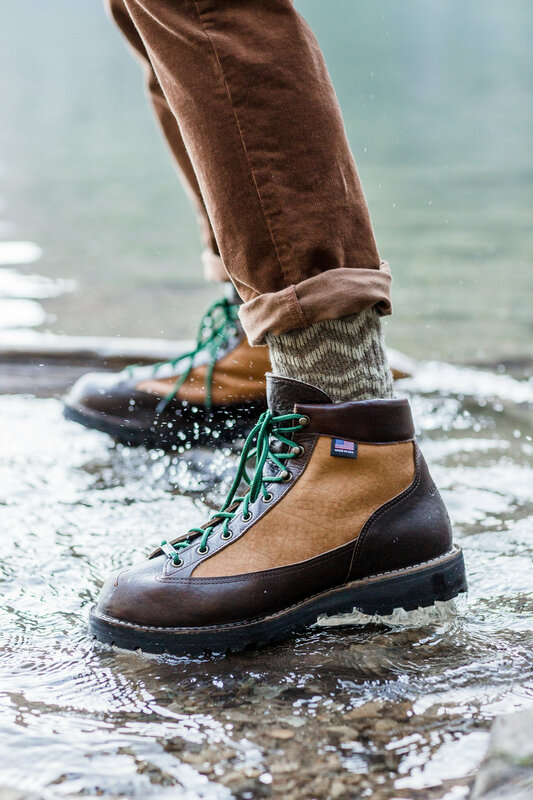 The classic light boot is one of Danner’s most iconic styles, and it’s given a new spin with the special edition Horween bison leather option from the UBB x Danner collaboration. The Bison Light Boots are made of waterproof bison leather, and lined with waterproof and breathable Gore-Tex. United By Blue is a company driven by ethics of sustainability and eco-consciousness, removing one pound of trash from the waterways and oceans with every product sold. They take their name from their belief that every living thing on the planet is connected and united by the blue of our earth’s oceans and waterways, and their product line reflects that, using materials like organic cotton, recycled polyester, and bison fiber, all from sustainable sources. Rugged and long-lasting, these limited-edition boots are perfect for a lifetime of outdoor adventures. Danner Boots is grounded in tradition, and their American heritage is on full display with this collaboration. The hallmark of the Bison line is the UBB x Danner Light Bison Boot, available in both men’s and women’s sizes. Each pair of boots is handmade in Portland, Oregon, using sustainable bison leather. The other products in the line, their Ultimate Bison Socks and Bison Beanie, are made with a combination of Merino wool and sustainably-sourced bison down. Find them online at unitedbyblue.com/danner, danner.com/unitedbyblue, or rei.com, and at United By Blue retail locations in Philadelphia and Manhattan, Danner’s Portland factory store, or the REI flagship stores in Manhattan and Seattle.